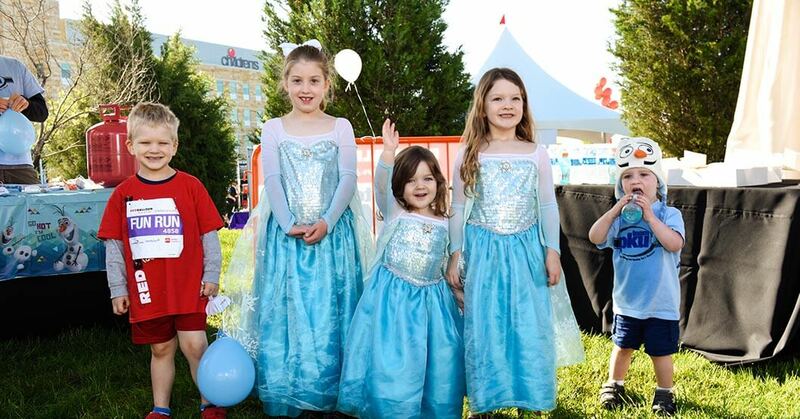 By all accounts, 2015 was a very successful year at Children’s Health. 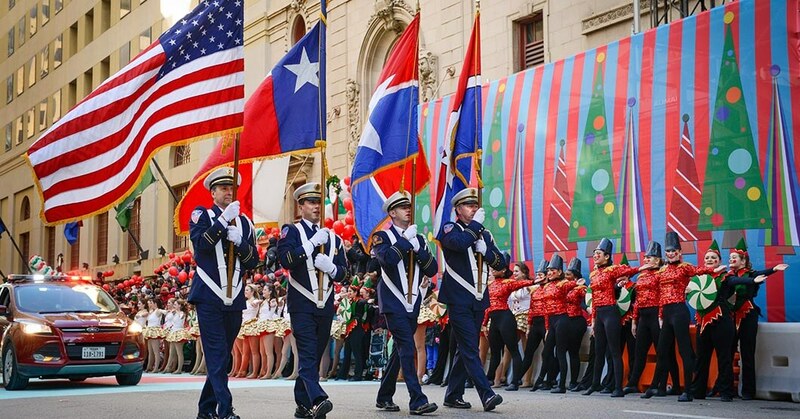 We reached important milestones and scientific breakthroughs, and celebrated a number of achievements. 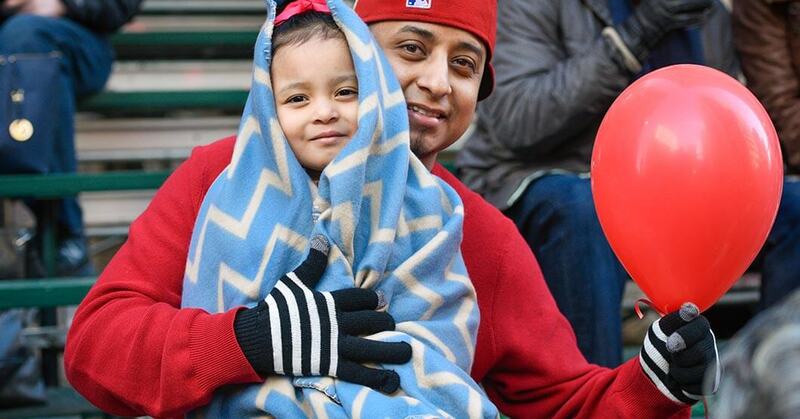 Perhaps the most significant accomplishments of this past year were the ones we made in connecting children and families with the care they need. 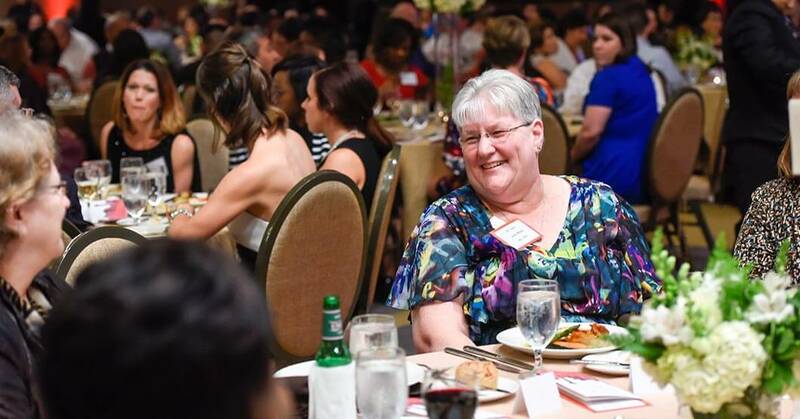 Those connections were demonstrated in a number of ways – through the quality of care we provide, the technology we employ and the human, healing connections we make with our patients every day. 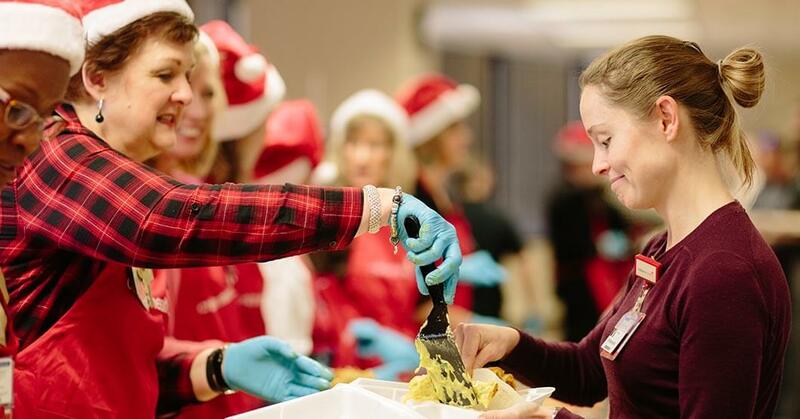 The theme of this year’s annual report, Building Caring Connections, is a reflection of those efforts, many of which you will read about on our interactive microsite, and in the printed report. 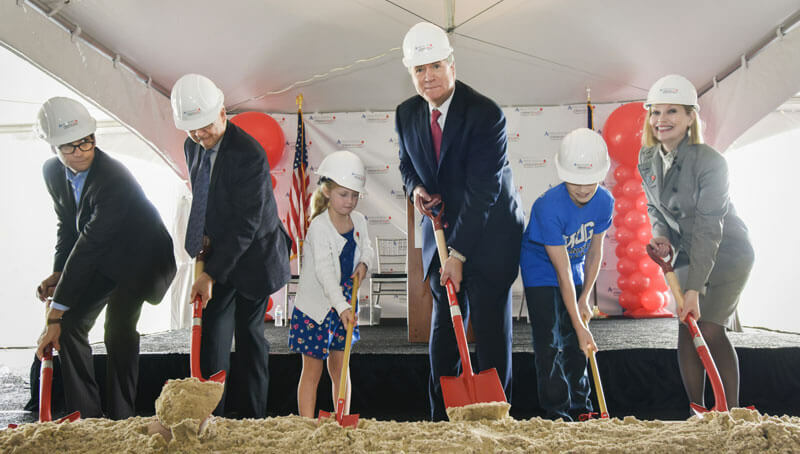 The Children’s Health family grew in 2015 as well with the acquisition of Our Children’s House, a 54-bed hospital and network of nine pediatric specialty care centers that provides highly specialized and transitional care to children with special needs. 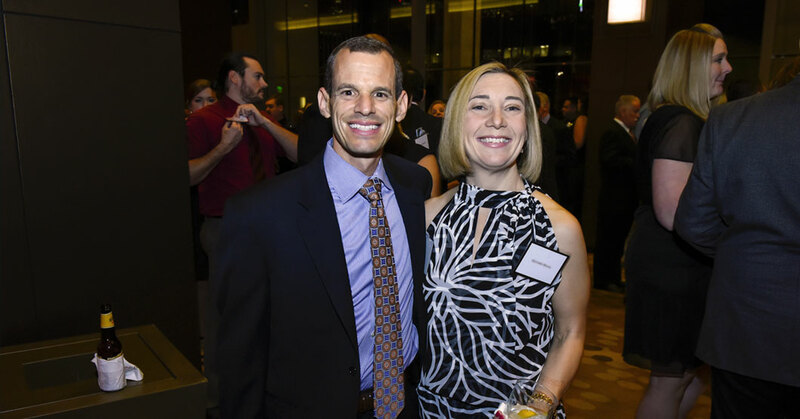 Additionally, we celebrated the opening of the Children's Health Andrews Institute for Orthopaedics & Sports Medicine at Children’s Medical Center Plano.  Other significant accomplishments in 2015 included the recognition as a "Most Connected Hospital" by U.S. News & World Report and earning a place among Information Week's "Elite 100" for our TeleNICU, a telemedicine program that connects patients in remote locations to our Level IV neonatal care. Finally, in keeping with the theme of this year's annual report, we're pleased to present a series of patient stories that personify the caring connections that exist between our Children’s Health family and the children and families we serve. It is these caring connections that make Children's Health unique and play such an essential role in making life better for children. 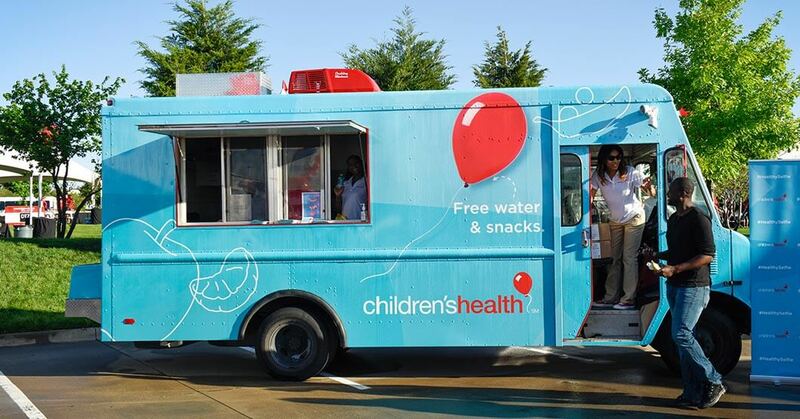 The year 2015 signaled a new era of opportunity for Children’s Health as the organization continued to evolve as a comprehensive health care system and play a more meaningful role in the health and well-being of children. 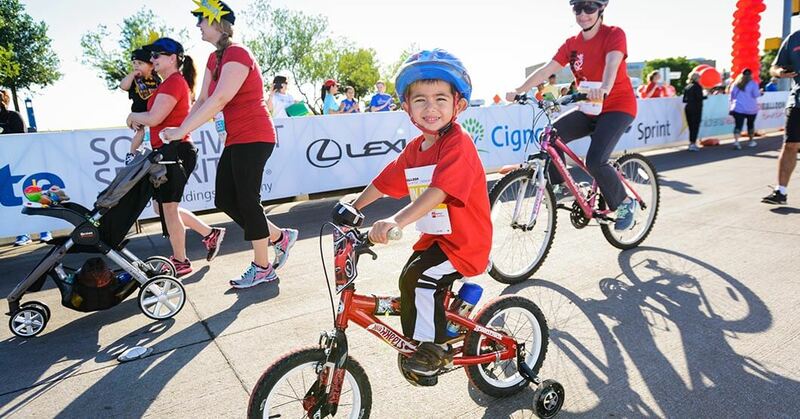 Children's Health's four strategic priorities put into place began to demonstrate measurable results. 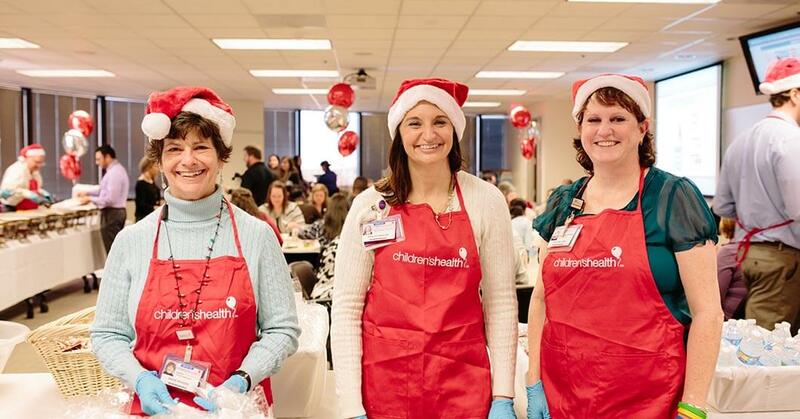 Children’s Health is committed to selecting, developing, nurturing, and retaining outstanding employees and ensuring they remain passionate and engaged. 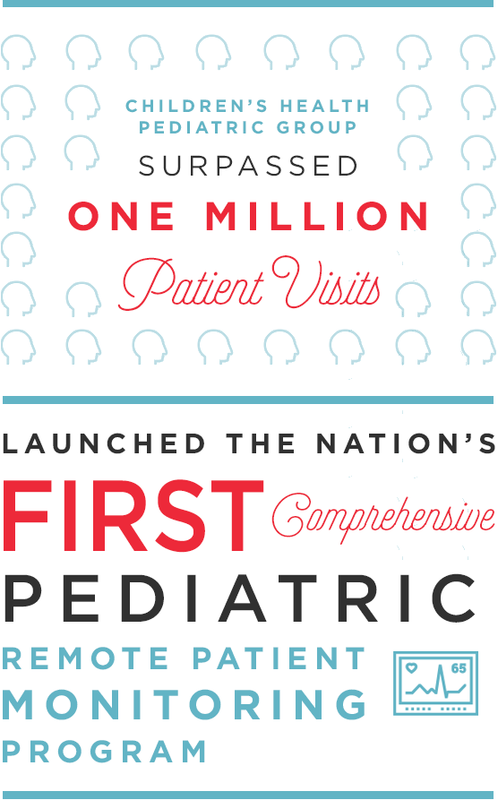 By establishing the highest level of quality – in care, safety, and outcomes – Children’s Health is able to reach even more children and elevate its reputation as one of the premier pediatric systems in the nation. 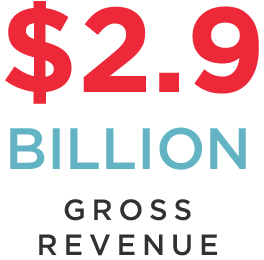 Children’s Health will continue to pursue every avenue in making health care more accessible and more cost-effective. Whenever possible, we believe in streamlining and simplifying the process to better focus our resources on the families we serve. 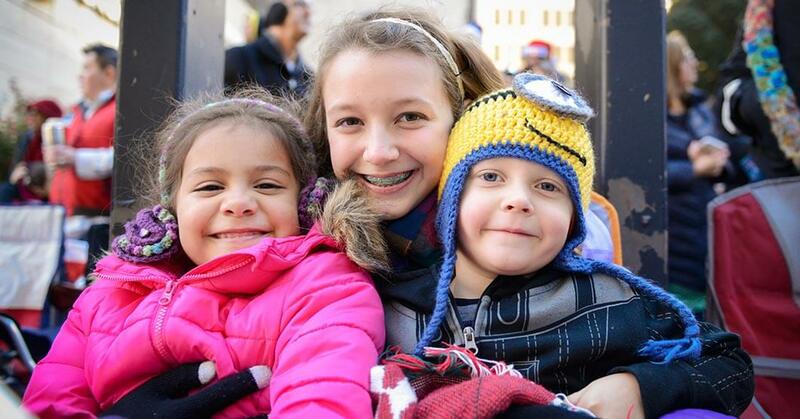 In order to remain a strong, independent health care system, Children’s Health will continue to grow. 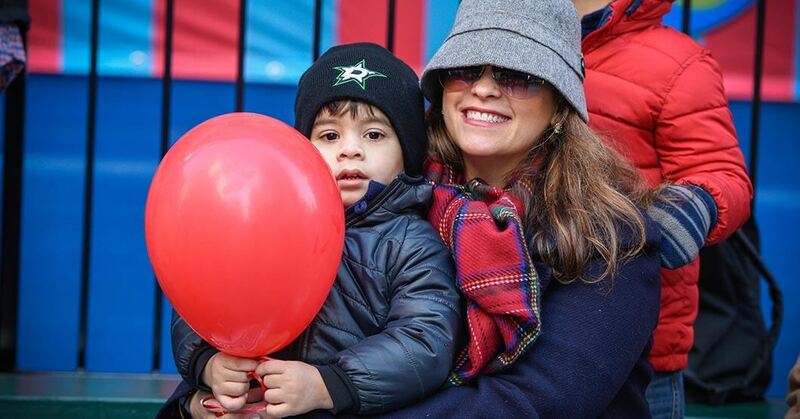 Only through growth can we invest in new technologies, new facilities, clinical research, and expand our abilities to serve more children and more areas in the future. 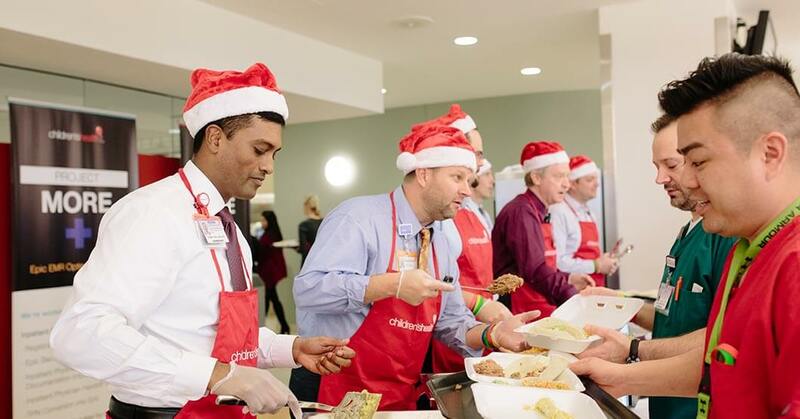 Many of these strategic priorities came to fruition in 2015 as we attracted top talent throughout the organization and hosted Recognizing Employee Dedication system-wide celebrations throughout the year, honoring the nearly 7,000 team members who work here. Internal programs, like YES to safety. NO exceptions. and A Better Way, produced dramatic results in both quality and efficiency. And as part of our strategic priority of Growth, we welcomed Our Children’s House, the Children's Health Andrews Institute for Orthopaedics & Sports Medicine, Family Health On Call, and Pediatric Imaging to the system. 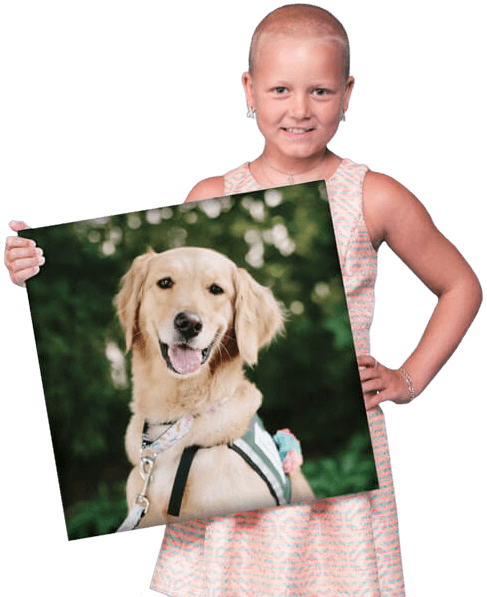 Children’s Health provides care through more than 50 pediatric specialty and subspecialty programs ranging from simple eye exams to specialized treatment in areas such as heart disease, endocrinology, hematology-oncology and cystic fibrosis. 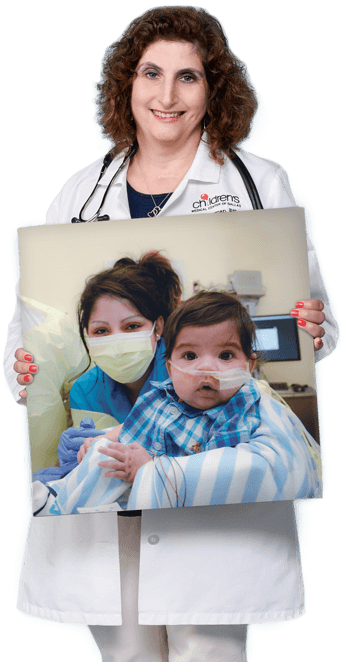 Children’s Health is also a major pediatric kidney, liver, heart, bowel and bone marrow transplant center and includes the first pediatric hospital in Texas with a designated Level I trauma center. 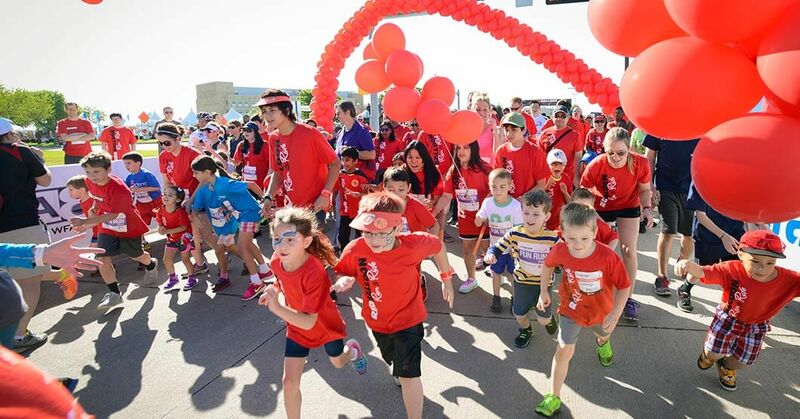 For more than a century, Children’s Medical Center Dallas has devoted itself to making life better for children. 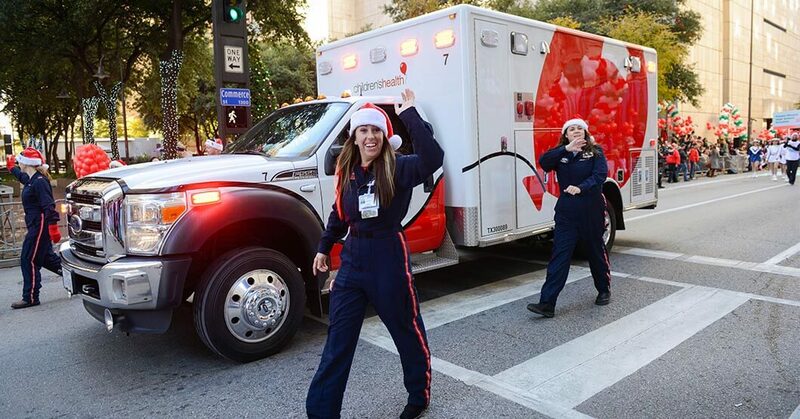 As the flagship hospital of the Children’s Health system, Children’s Medical Center Dallas offers tertiary and quaternary expertise in pediatric specialties and subspecialties and is a Level I trauma center. 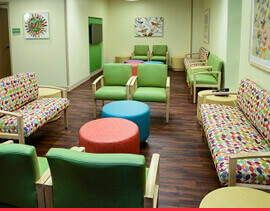 Children’s Medical Center Dallas is the eighth–largest pediatric hospital in the country. 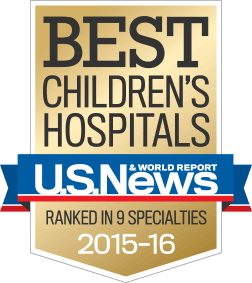 Consistently ranked among the nation’s best children's hospitals by U.S. News & World Report, Children’s Medical Center Dallas is the only pediatric academic medical center affiliated with UT Southwestern, home to six Nobel Prize-winning research pioneers. We are also the only pediatric hospital in the country with eight disease-specific care certifications from The Joint Commission for conditions including asthma, autism, and diabetes. 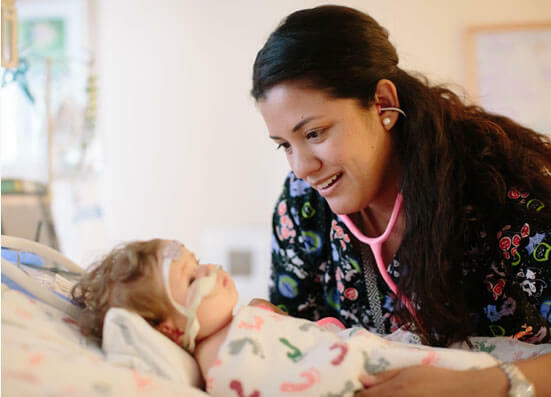 Additionally, Children’s Medical Center Dallas is among the fewer than 7% of hospitals nationwide to have earned a Magnet designation for nursing excellence. 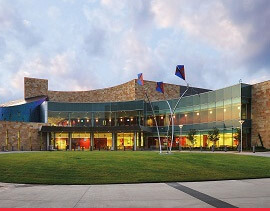 Children’s Medical Center Plano is a 155-acre medical center campus anchored by a 72-bed full-service hospital. 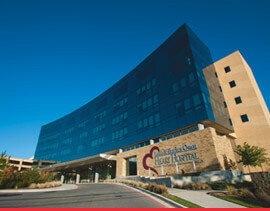 The campus also includes Children's Health Specialty Center Plano, which is located adjacent to the hospital. 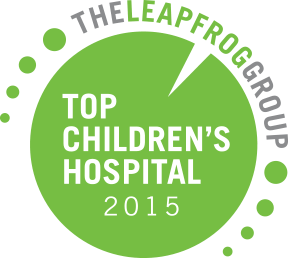 For the second straight year, The Leapfrog Group named Children's Medical Center Plano to its annual list of Top Hospitals, a coveted and respected recognition showcasing commitment to providing the safest, highest quality of health care for consumers and purchasers alike. 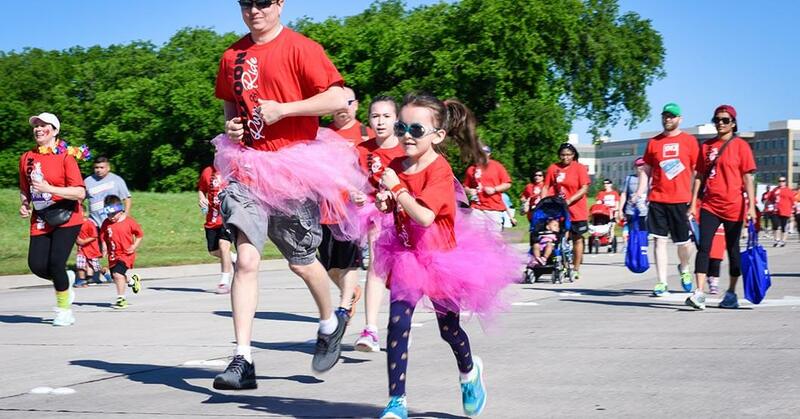 "Quality of care involved participation at all levels of the organization, and it is an integral part of our mission to make life better for children," said Children’s Health President, Physician Organizations and Academic Relations and Chief Clinical Officer, Robert Morrow, M.D. 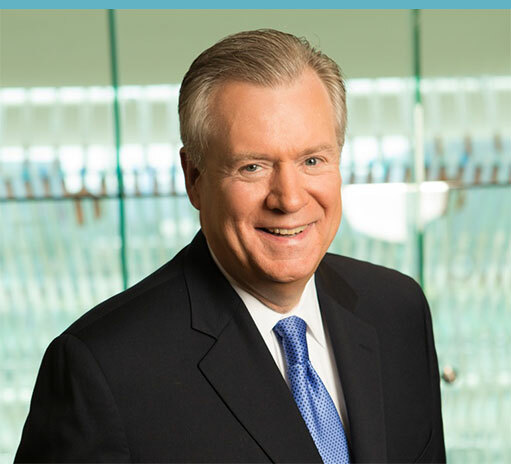 "This distinction is an honor for Children's Medical Center Plano and speaks to our commitment to ensure the highest possible quality care for every patient we see." 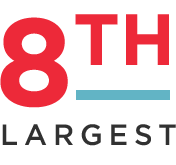 Out of 98 Top Hospitals recognized in 2015, the Children's Health Plano campus is one of just 12 children's hospitals across the nation to make the list. 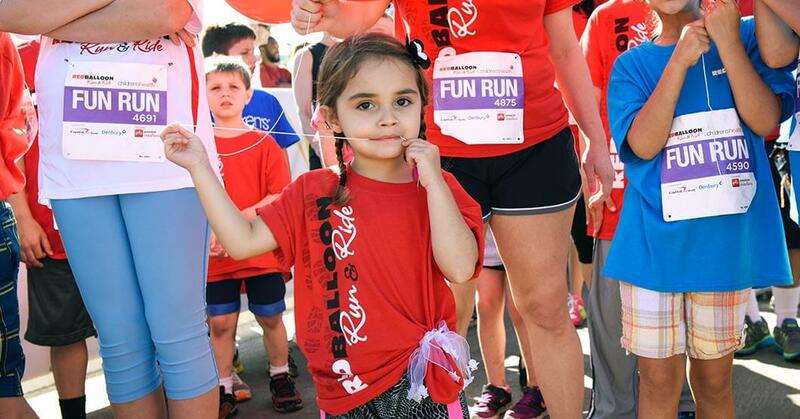 More than 2.6 million children are treated each year for sports-related injuries. 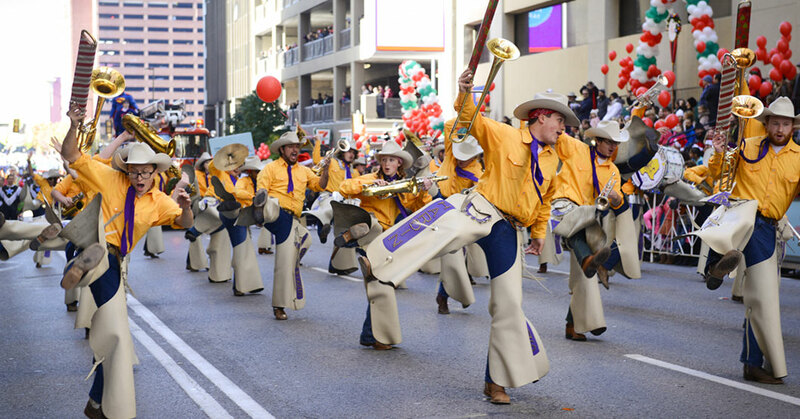 As the only pediatric orthopaedic institute of its kind in Texas, the Children's Health Andrews Institute opened in 2015 on the Children's Health Plano campus and aims to greatly reduce the number of children being sidelined from injuries. Under the direction of world-class physician, James Andrews, M.D., the Children's Health Andrews Institute has a passion for not only getting young athletes back in the game, but also giving them the right knowledge to prevent injuries in the first place. 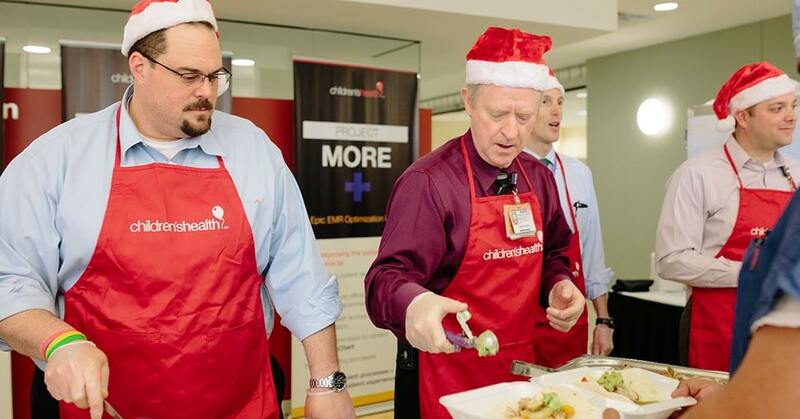 From left to right: Bill Cawley, Children’s Medical Center Governing Body member; James Andrews, M.D. 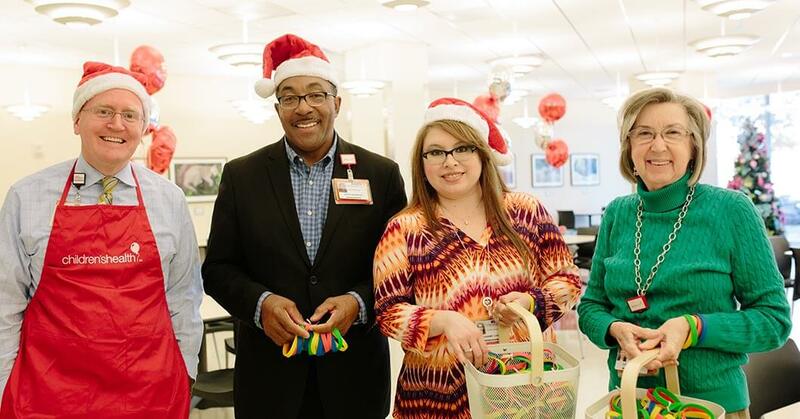 ; Kennedy Spurger, Children’s Health Andrews Institute patient; Christopher Durovich, Children’s Health President and CEO; Phillip Myers, Children’s Health Andrews Institute patient; Sally Bane, City of Plano Director of Economic Development. 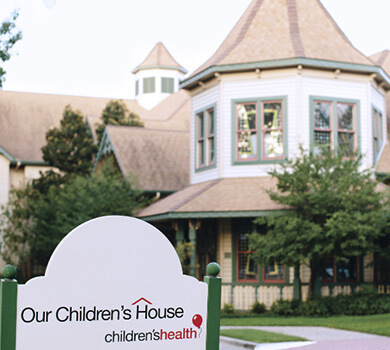 In 2015, Children’s Health proudly expanded our family of specialized pediatric care facilities by acquiring Our Children’s House from Baylor Scott & White Health. Founded in 1993, Our Children’s House has played a vital role in connecting children with special needs to the care they need. 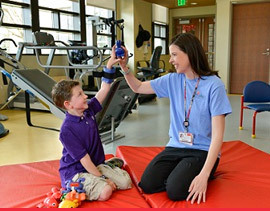 The 54-bed hospital serves children with developmental or birth disorders, traumatic injury and other severe illnesses and specializes in neurorehabilitation, pulmonary care and the treatment of feeding disorders. A network of nine outpatient clinics and one specialty hospital gives families easy access to developmental screenings and assessments, parent education and support, and physical, occupational, and speech/language therapy at locations that are convenient to them. 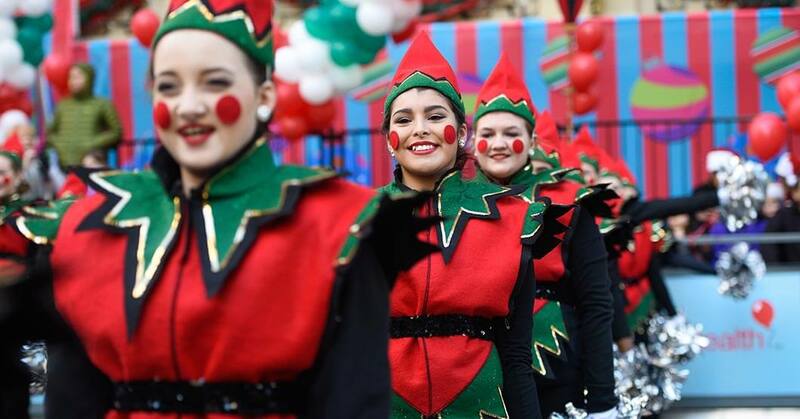 For more than 20 years, Our Children’s House has held a very special place in the hearts of special-needs families, and thanks to Children’s Health, that tradition will continue. "Our Children's House has provided unparalleled care for children with very special needs for more than 20 years, and we are pleased to be able to continue this mission and welcome these colleagues to the Children's Health team." 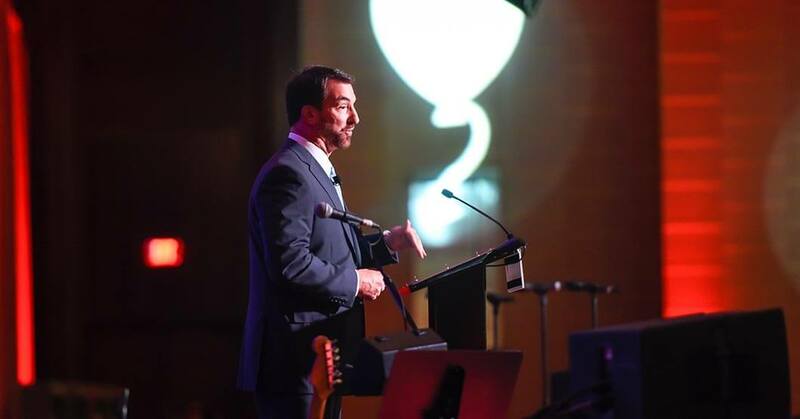 Developing better treatments and, ultimately, cures for the most challenging illnesses that young patients face today is paramount to our mission of making life better for children. 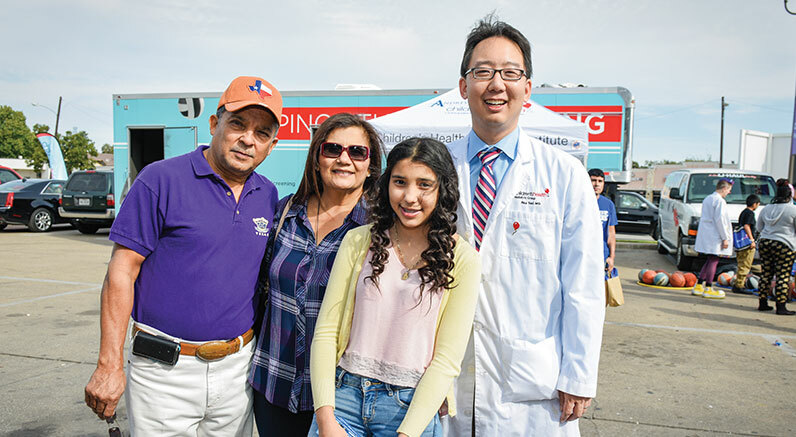 Thanks to our partnership with UT Southwestern Medical Center, Children’s Medical Center is making that dream a reality. 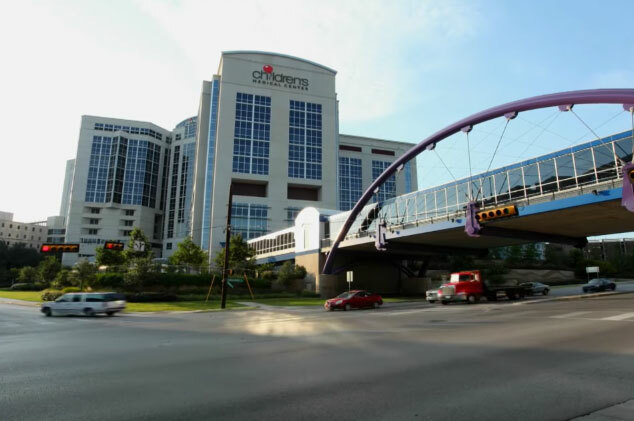 Since 1961, Children’s Medical Center has been the primary pediatric clinical partner for UT Southwestern Medical Center, a world-class research center that has been home to six Nobel Prize-winning researchers and 14,000 faculty and staff. This affiliation connects our clinical expertise with the leading-edge teaching and research capabilities of UT Southwestern. Children’s Medical Center Research Institute at UT Southwestern (CRI) has already earned international recognition for its work addressing fundamental scientific questions in the areas of stem cell biology, metabolism, and cancer. 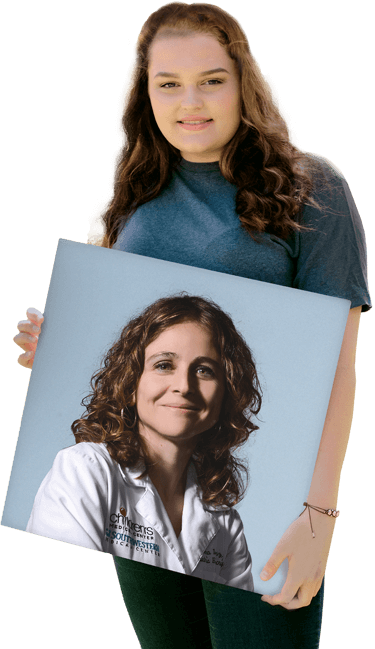 The transformative biomedical research that is ongoing at CRI employs the latest technology to improve our understanding of the biological basis of disease and to reveal new therapeutic strategies for diseases that affect children across the globe. In September of 2015, a team of scientists at CRI became the first to use a tissue-clearing technique to localize a rare stem cell population, in the process cracking open a black box containing detailed information about where blood-forming stem cells are located and how they are maintained. The findings, published in Nature, provide a significant advance toward understanding the microenvironment in which stem cells reside within bone marrow. “The bone marrow and blood-forming stem cells are like a haystack with needles inside. 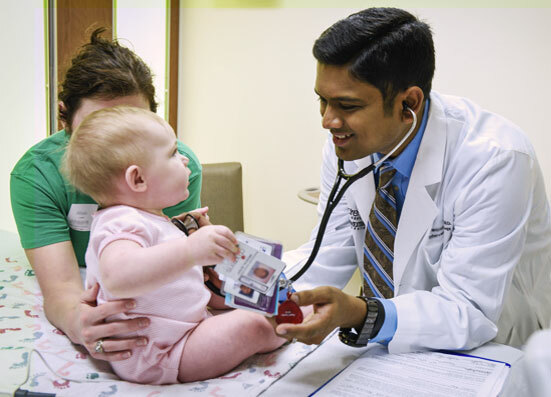 Current pediatric clinical research at Children’s Medical Center Dallas is led by UT Southwestern faculty and focuses on today’s most critical areas in pediatric health. 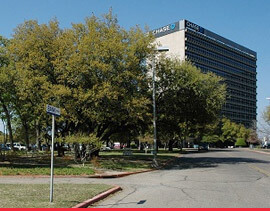 This outpatient center offer specialties in dentistry, psychiatry and psychology and is located in the former Chase Building. 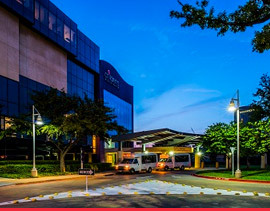 Located across the street from Children’s Medical Center Dallas, this six-story facility provides families with easy access to a wide array of specialty outpatient services in one convenient location. 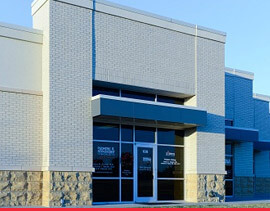 Conveniently serving the Northeast Dallas/Mesquite areas, this nationally recognized pediatric care facility specializes in physical medicine and rehabilitation. This academic medical center provides exceptional care and expertise in a number of specialties including: cardiac consultation; ear, nose and throat; endocrinology; neonatal; gastroenterology; heart health; hematology; plastic and craniofacial surgery; and urology. 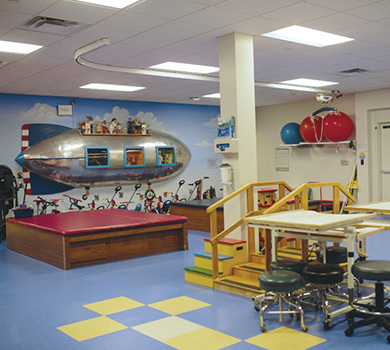 Part of Children’s Medical Center Plano, this facility includes specialists from UT Southwestern and features the largest suburban group of pediatric specialists in the nation. 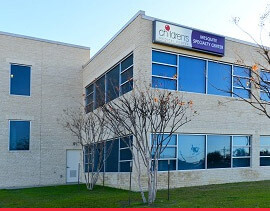 Located in the CityLine Wellness Building in Richardson, this center offers physical therapy, occupational therapy, speech language pathology, Autistic Behavior Therapy early intervention for Autism and behavioral psychology for children with Autism Spectrum Disorder. Specializing in pediatrics and urology, Children’s Health Specialty Center Rockwall is part of the Center for Pediatric Urology, one of the top programs of its kind in the nation. Specialty Center Tyler is located in the Louis & Peaches Owen Heart Hospital and specializes in cardiac consultation and heart center services. Children’s Health Pediatric Group was the first multi-site group to be recognized as a Level III NCQA Patient Centered Medical Home. Our network of pediatric primary care offices located throughout North Texas specializes in everything from immunizations and well-child exams to treatment for illnesses and minor emergencies. Since 2000, Children’s Health Pediatric Group has had one million patient visits – including well-child exams, after-hour calls, and health management classes for newborns, infants, and children. To honor this milestone, Children’s Health hosted a community celebration at its Bachman Lake location – the first Children’s Health Pediatric Group clinic to open in 2000 – where activities included an interactive Children’s Health Andrews Institute Orthopaedic & Sports Medicine mobile experience, Zumba, and family-friendly games. 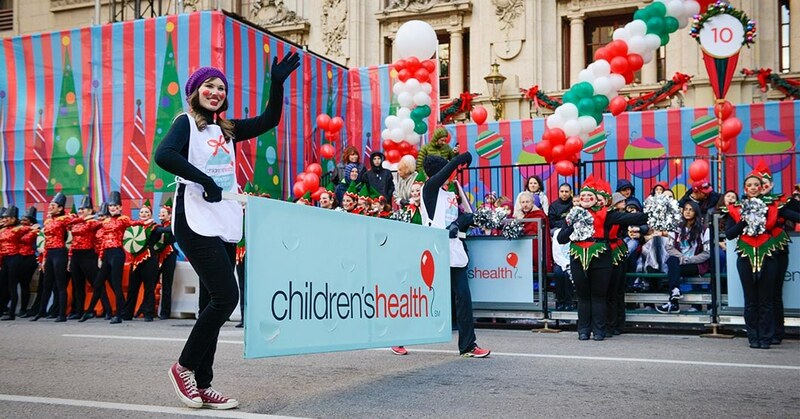 Working at a grassroots level with schools, community leaders, and civic organizations, Children’s Health Population Health management is dedicated to promoting better overall health within the community as a whole. These innovative programs connect more people to the care they need by giving them greater access to wellness and primary care options. Many of those options are offered in non-hospital environments such as community centers, schools, and places of worship. 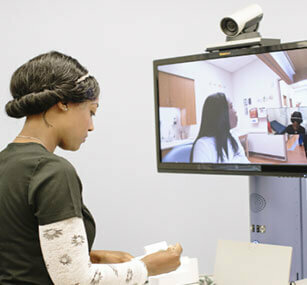 Children’s Health is the only health system in North Texas currently providing schoolbased virtual health services. 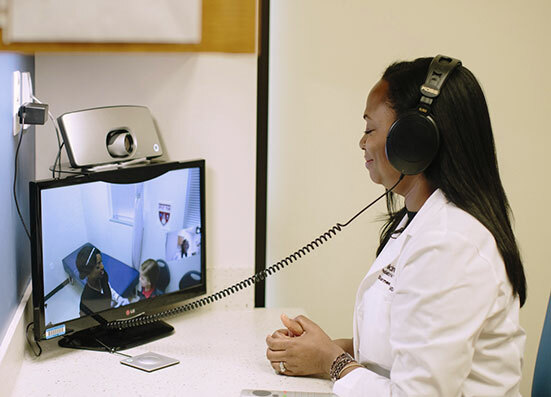 Through advanced, encrypted telemedicine technology, students at participating campuses from elementary to high school can receive HIPAA-compliant health care services without leaving school. 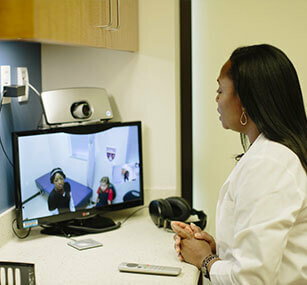 The School-Based Telehealth program equips school nurses with high-definition videoconferencing and state-of-the-art digital scopes to connect children directly to health care professionals from Children’s Health Pediatric Group. As of the 2015-16 school year, more than 50 schools in the Dallas, Grayson, Collin, and Tarrant county school districts were participating in Telehealth. 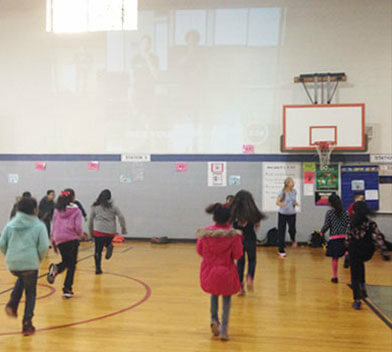 More than 758,000 students in Texas are more active thanks to a sponsorship of GoNoodle by Children’s Health. 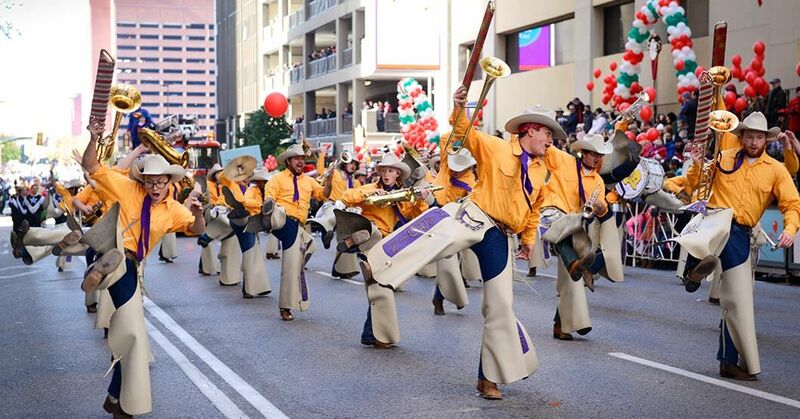 This expanded an existing partnership that has already delivered more than 3 million minutes of in-classroom physical activity per month across Texas schools. 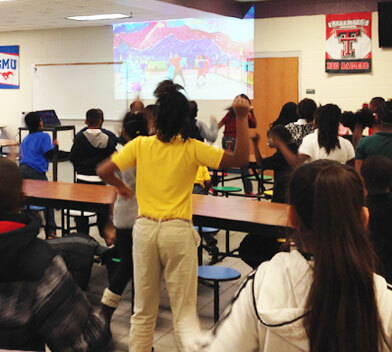 In Dallas alone, more than 20,000 teachers, 398,000 students and 730 schools have access to GoNoodle at no cost. GoNoodle is an interactive, core-aligned, physical activity and brain-break tool that helps channel classroom energy and improve focus. This tool offers 10 suites of physical activity breaks that incorporate movement into core subjects. While the goal of GoNoodle is to provide a physical activity break, its videos, games and exercises also reinforce grade-aligned lessons and learning. 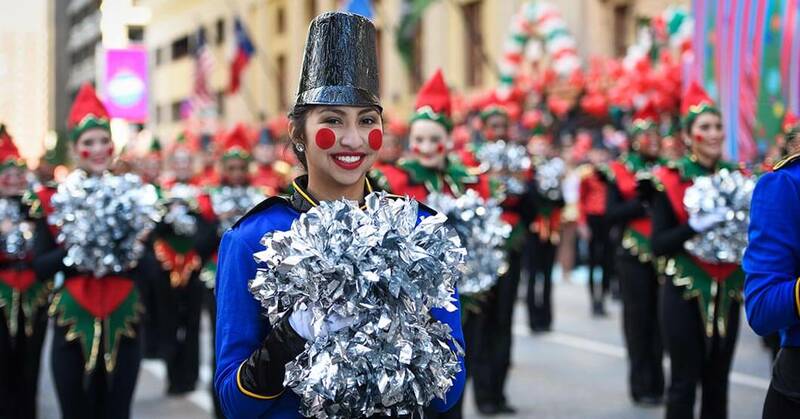 As of April 2015, the program had reached more than 175 elementary schools, 4,600 teachers and 102,000 students in the Dallas and McKinney independent school districts. 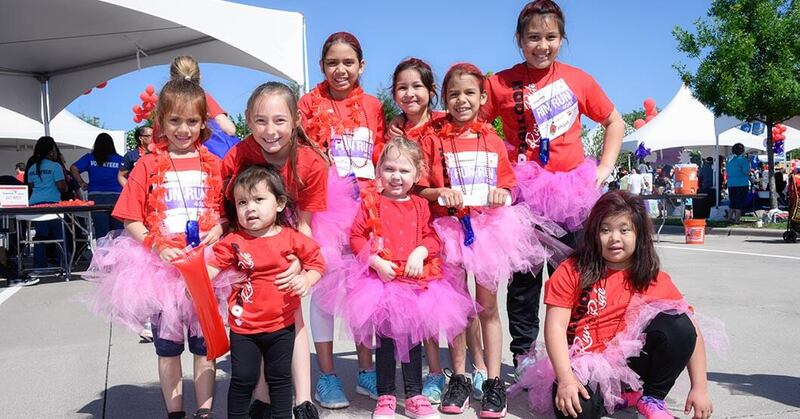 The Children’s Health Asthma Management Program is the first in Texas and only the third in the nation to receive certification by The Joint Commission for Disease-Specific Care Programs for pediatric asthma initiatives. The goal of this three- to six-month education and care coordination program is for children with an asthma diagnosis to experience symptom-free sleep, learning, and play. 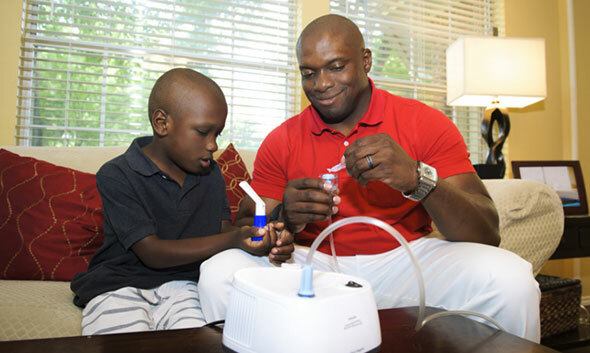 The program includes home visits by a registered respiratory therapist, age-specific asthma education, and in-home assessments to identify specific triggers. 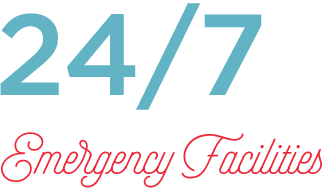 Families also receive an asthma management tool kit, diary, and action plan, as well as bi-weekly telephone follow-ups with a registered nurse/Certified Asthma Educator. The Asthma Management Program has been an unequivocal success, having achieved an 89% decrease in asthma-related emergency room visits, a 67% to 100% decrease in hospital admissions, a dramatic decline in missed school days by children, and an overall drop in missed work by parents. 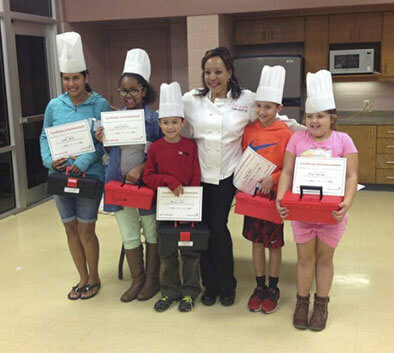 The program currently serves families in Dallas, Tarrant, Ellis, Collin, Kaufman, Denton, and Rockwall counties. 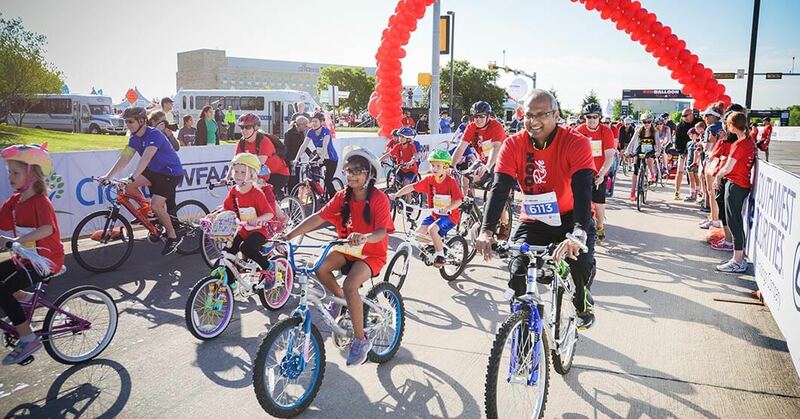 Get Up & Go is a free, nine-week weight management group for children and their parents, in partnership with the YMCA of Metropolitan Dallas, which also has locations in Denton and Collin counties. 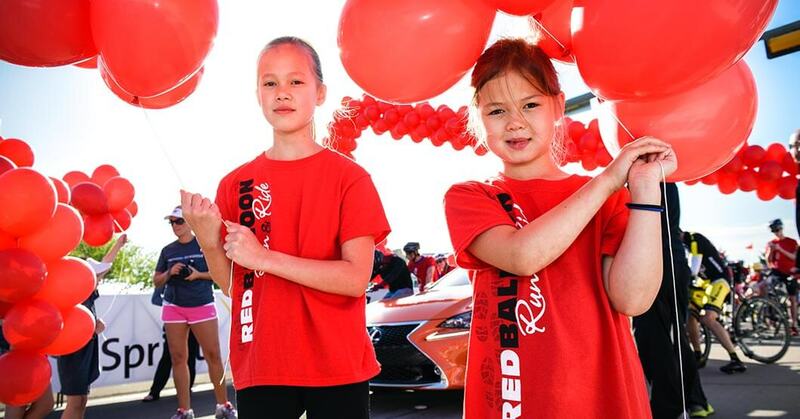 Children and families participate in fun physical activities, learn about making healthy food choices, and set weight and activity goals to reduce the chance of developing diabetes or heart disease. As part of Children’s Health Population Health group, the Health and Wellness Alliance for Children is a collaboration of more than 100 community organizations from the health, education, government, and non-profit sectors who, along with the faith community, have made it their goal to improve the overall health and well-being of children and families in the region. 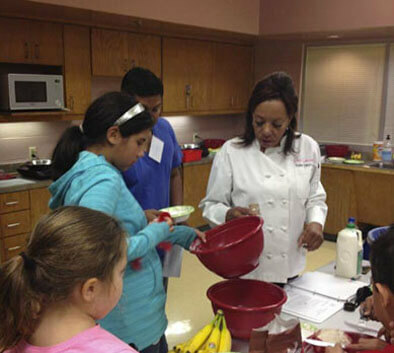 Working in partnership with more than 40 organizations, the Alliance’s asthma initiative focuses on strengthening chronic care management, educating families and schools, reducing external triggers, and building a foundation of wellness for the nearly 90,000 children with asthma in Dallas and Collin counties. 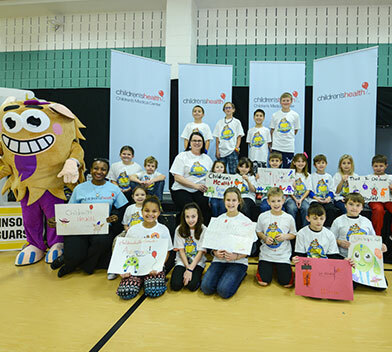 Thanks to this program, children can now manage their asthma symptoms through My Asthma Pal, a mobile app available at no cost through Children’s Health and the Health and Wellness Alliance. 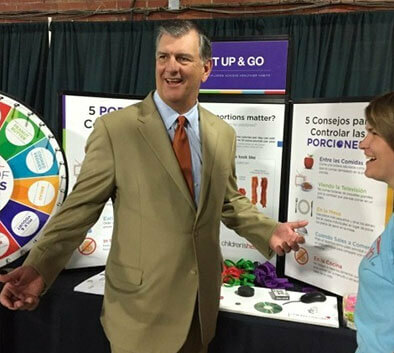 The weight management initiative focuses on promoting a healthier lifestyle for Dallas County families with children who are obese or who are at risk of becoming obese. 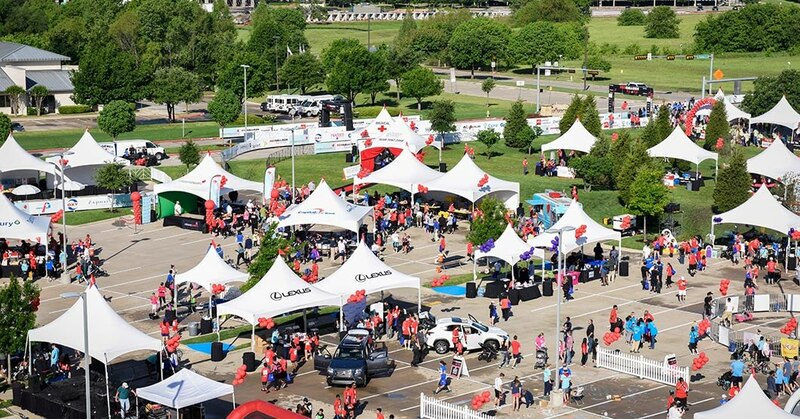 This effort was initiated by the Dallas Regional Chamber of Commerce and is supported by the United Way of Metropolitan Dallas and Children’s Health, with more than 40 organizations involved in specific aspects of the obesity problem, including physical activity, healthy eating and breastfeeding. Children’s Health has been a leader in the field of virtual health since launching our TeleNICU, the first dedicated neonatal telemedicine service in Texas, in 2013. 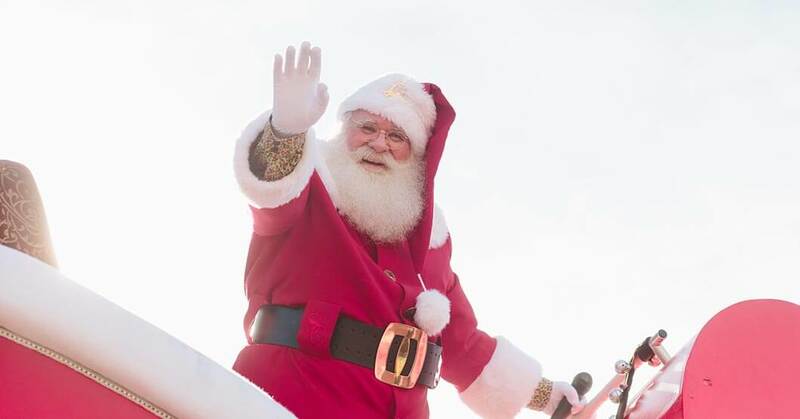 In the following years, we’ve expanded the role virtual health technology plays in connecting children to the care they need, and 2015 was no exception. In what is the first of its kind in the nation, the Children’s Health Remote Patient Monitoring (RPM) program was launched in April 2015. 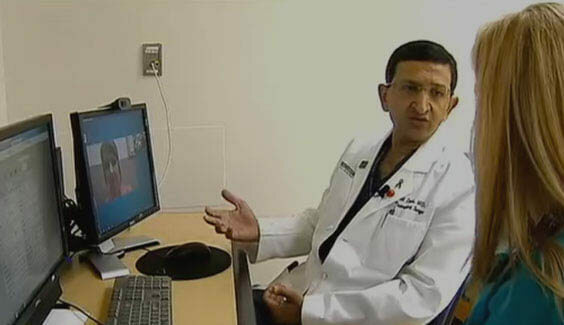 The RPM program allows clinical staff at Children’s Health to monitor a patient’s health status and progress via secure mobile technology, including one-touch video conferencing. 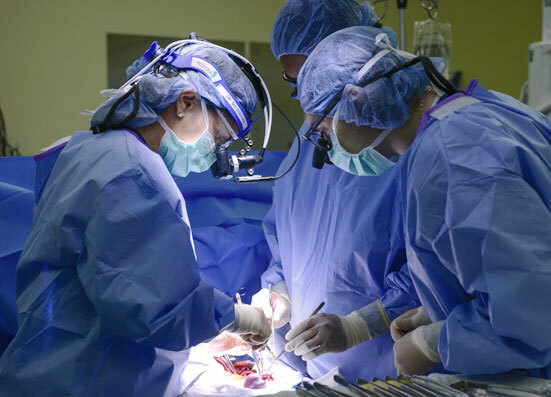 A collaborative effort between Children’s Health’s Solid Organ Transplant program and our team of experts in the fields of telemedicine and innovation, the RPM program initially began monitoring 50 pediatric patients from various locations, 15 of whom came from the Children’s Health Liver and Renal Transplant program. 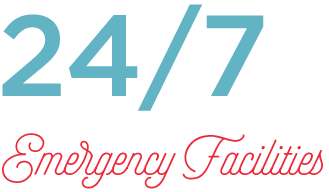 Recently transplanted patients are routinely required to have twice-weekly appointments for follow-up care and medication management. 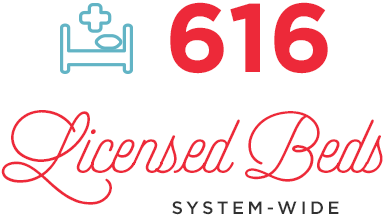 The RPM program allows patients and their families to remain at home or in school and still be closely monitored. 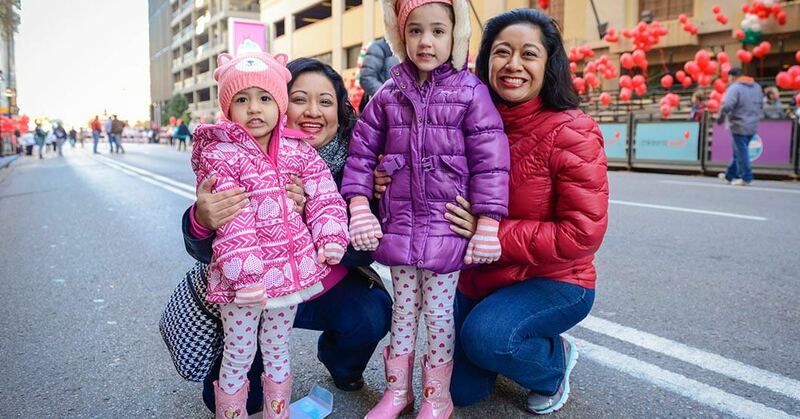 A majority of patients drive several hours to the Dallas campus in order to be seen by Children's Medical Center Dallas specialists. With the new program, those trips may be significantly reduced or avoided all together. 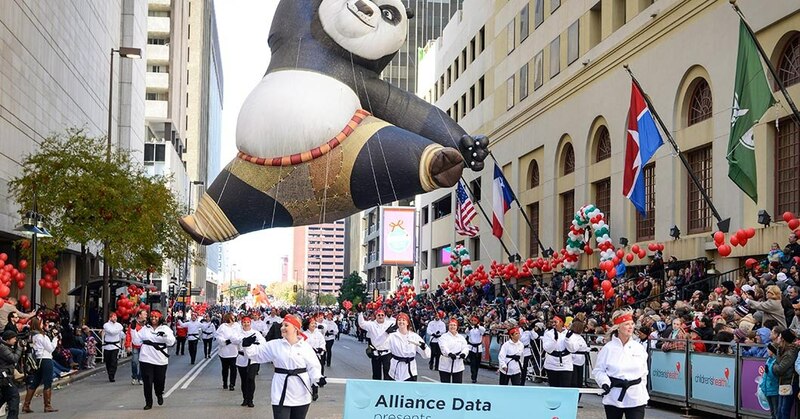 Children’s Health worked with AT&T and Vivify Health to put together an integrated telemedicine kit that includes a 4G tablet and wireless health devices that can monitor blood pressure, blood oxygen levels, weight, and other vitals through Bluetooth connectivity. Every device utilizes a highly secured, HIPAA-compliant encryption and authentication process to ensure appropriate use and protection of patient information. Meet RP-VITA, or as the kids at Children’s Health call him, Zippy. Now that’s a robot! 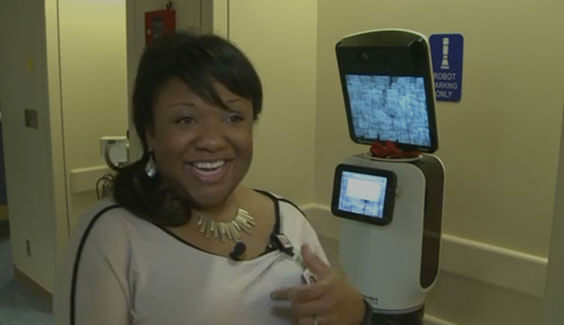 Children's Health in Dallas is making it easier for kids and families to stay in touch with their doctors. 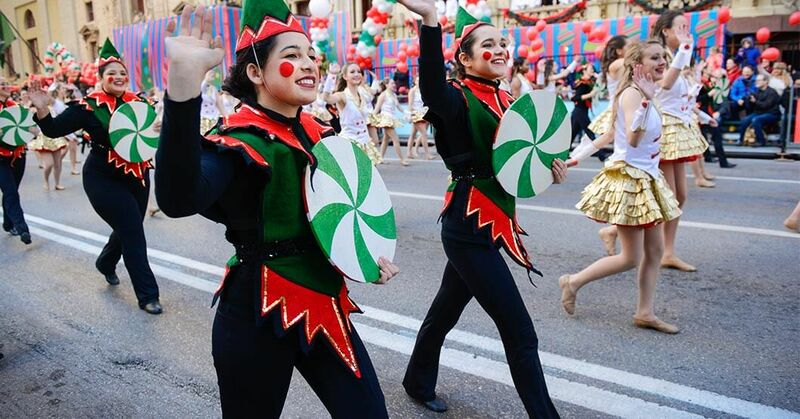 In 1987, Children’s Health and the Adolphus Hotel celebrated their 75th anniversaries, and to commemorate the occasion, they proposed holding a holiday parade in downtown Dallas to celebrate. 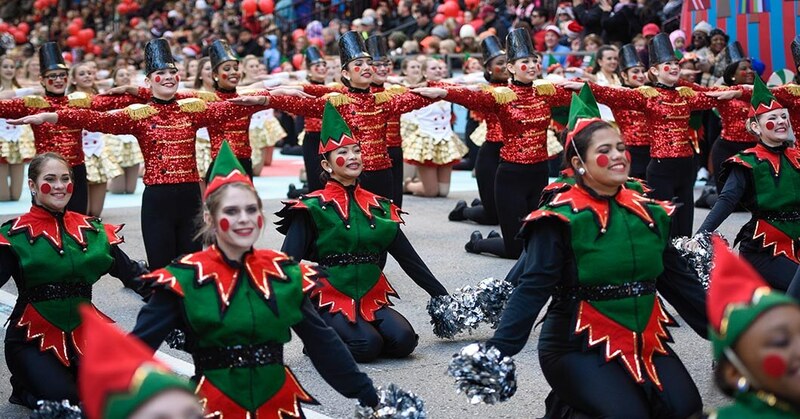 Twenty-eight years later, that tradition continued as hundreds of thousands of people lined the streets – and many more tuned in at home – to see this year’s procession of marching bands, drill teams, floats, large balloons, movie characters and, last but not least, Santa Claus. 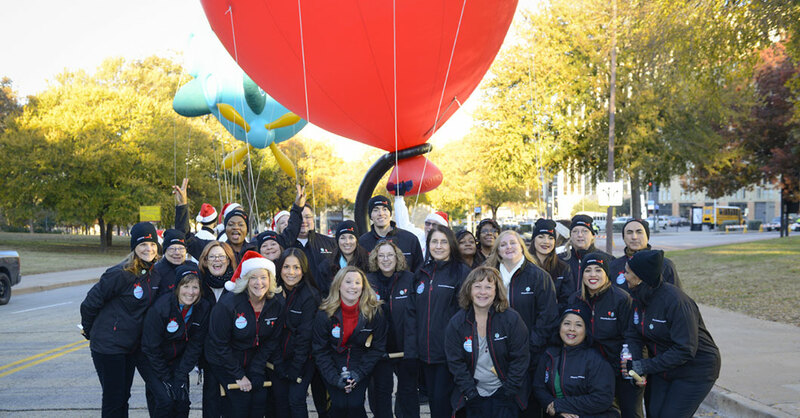 The 2015 parade featured a very special group of colleagues who were chosen to represent the Children’s Health family by carrying (and spinning) the iconic Children’s Health Red Balloon in the parade. 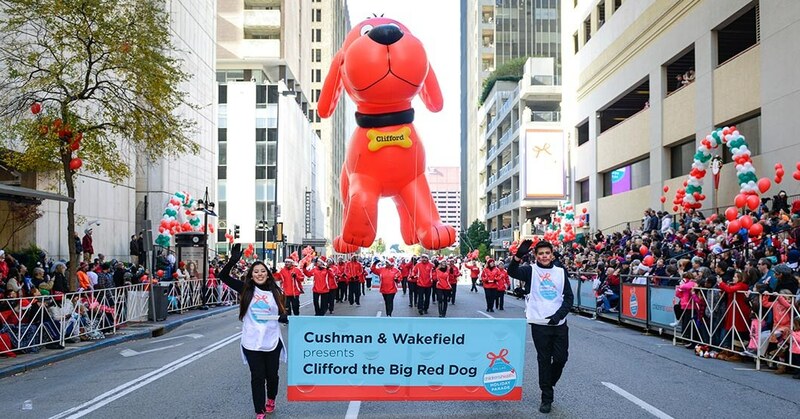 Each official Red Balloon Handler was selected because of their dedication to making life better for children. 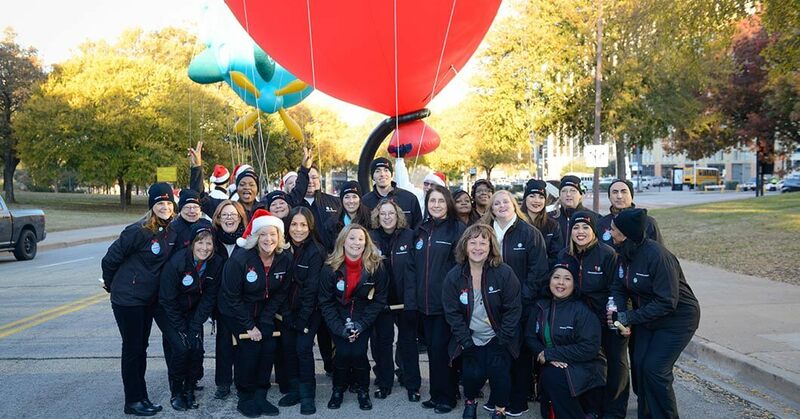 Children’s Health would not be the preeminent organization it is today if it weren’t for the care, love, and devotion exemplified by our more than 7,000 team members. 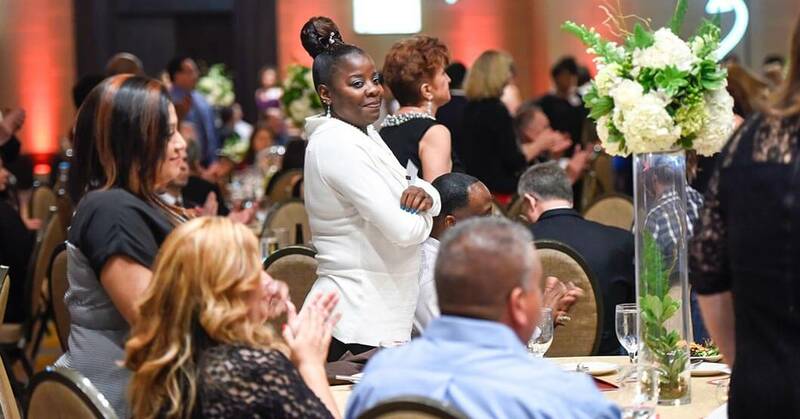 In October, Children’s Health recognized the contributions of those employees at our 2015 Recognizing Employee Dedication (RED) celebration held at the Omni Hotel. 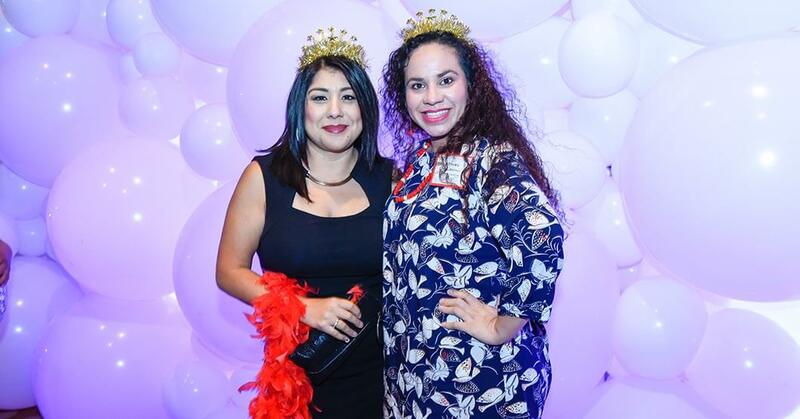 The event theme was Paint the Town RED, and it honored Children’s Health team members who celebrated 5, 10, 15, 20, 25, and even 30+ years of service. 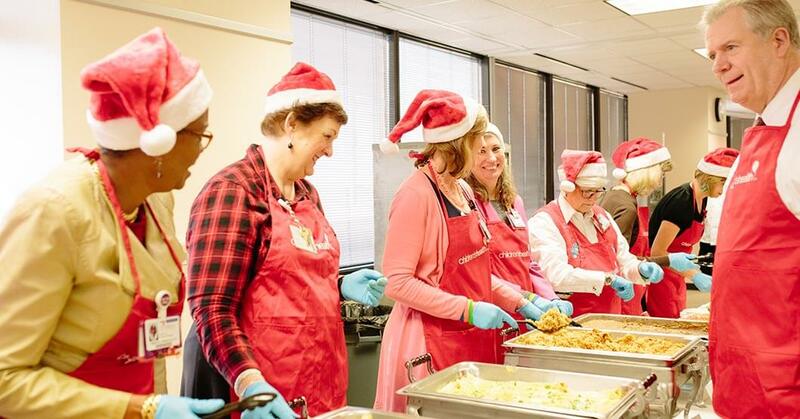 Every year, the Children’s Health leadership team serves holiday meals to our team members to show their gratitude for a job well done. 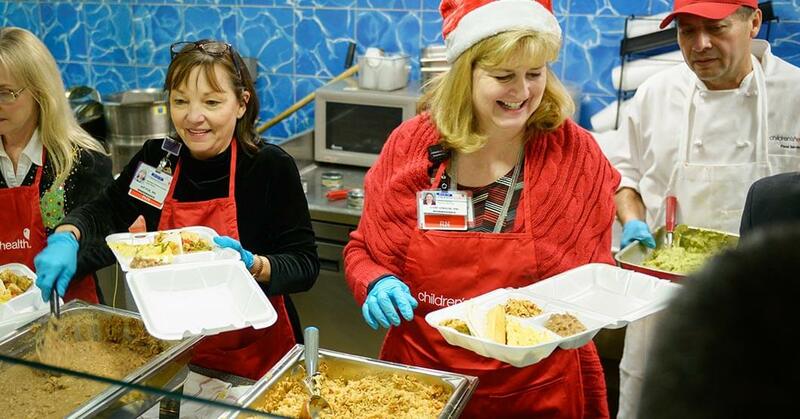 In 2015, holiday meals were served throughout Children’s Health, and everyone shared in the joy. 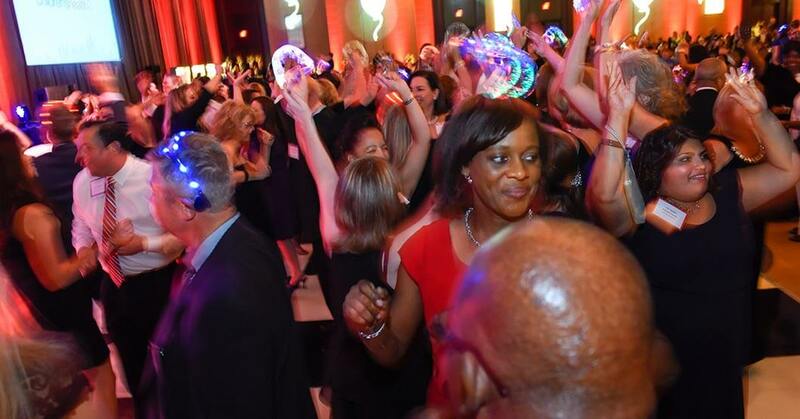 Children’s Medical Center Foundation serves as the fundraising arm for Children’s Health. 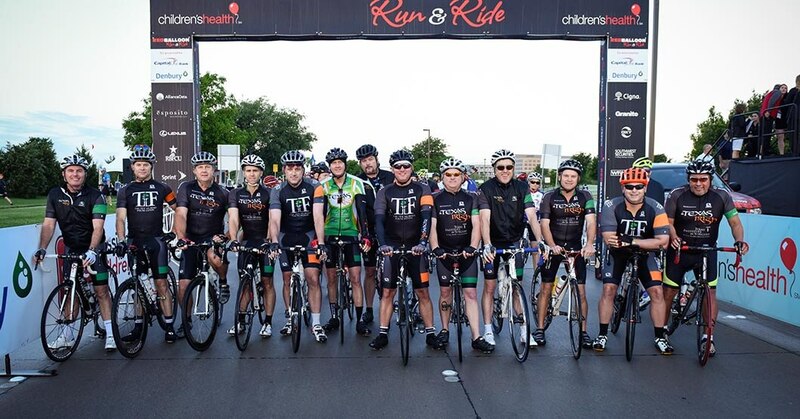 The Foundation partners with individual donors, corporations, and organizations to help the comprehensive team of physicians, scientists, and medical professionals at Children’s Health fulfill its mission to make life better for children. 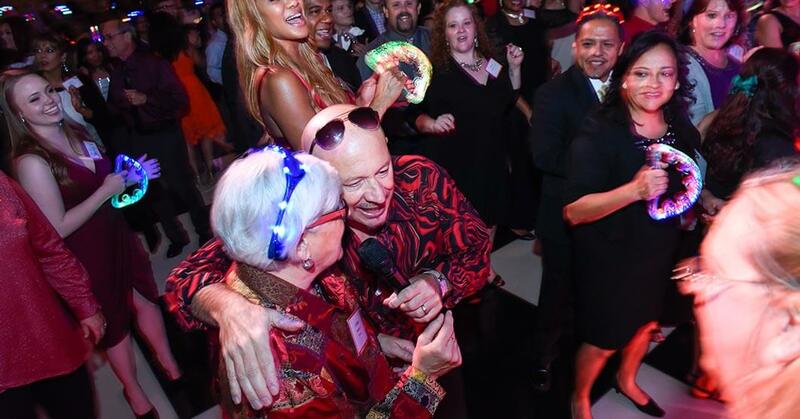 Philanthropic gifts in 2015 set new standards for Children’s Medical Center Foundation. 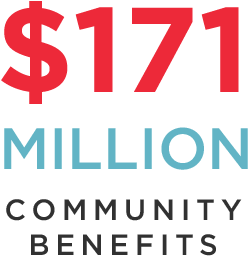 Overall, new commitments totaled $71 million – $20 million more than in any previous year, and three times the average of the previous decade. Half of that – more than $35 million – was given specifically for the Children’s Medical Center Research Institute at UT Southwestern (CRI). 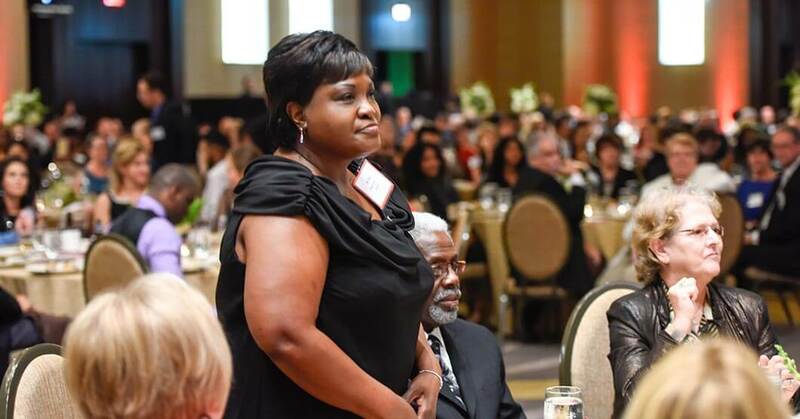 Also, The Elsie and Marvin Dekelboum Family Foundation Inc. contributed $1,015,000 to enhance the robotic surgery program and to support Child Life, and the Rees-Jones Foundation continued its ongoing commitment to the Rees-Jones Center for Foster Care Excellence at Children’s Medical Center with a $7.9 million commitment. 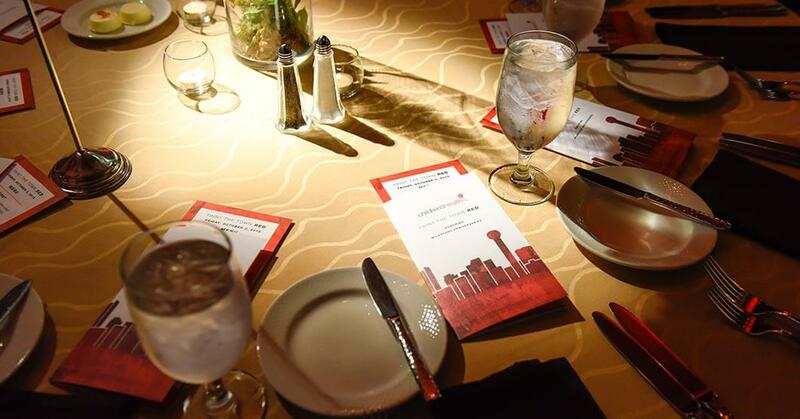 In addition to the CRI, Children’s Medical Center Foundation raises, manages, and distributes funds to support Children’s Medical Center Dallas, as well as Children’s Medical Center Plano, multiple specialty centers, numerous Children’s Health Pediatric Group primary care practices, a network of nine outpatient clinics and specialty hospital, Our Children's House rehabilitation facilities, plus home health and physician services. 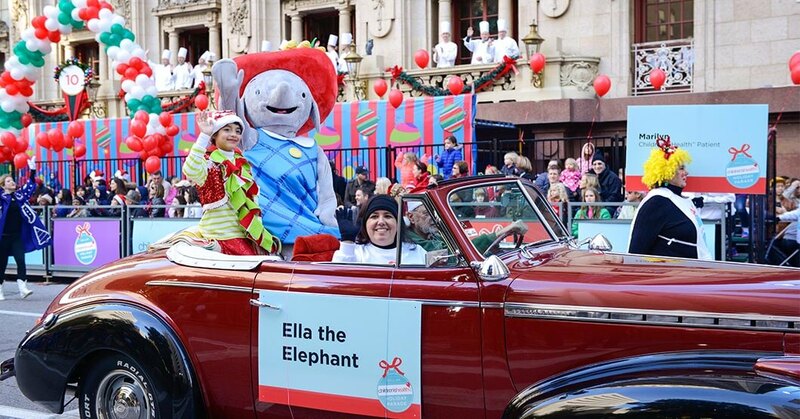 Family Support Services, which relies heavily on philanthropic support, brightens children’s lives through the Funnyatrics clown program; music, art, and pet therapy; pastoral care; social work; and language support services. 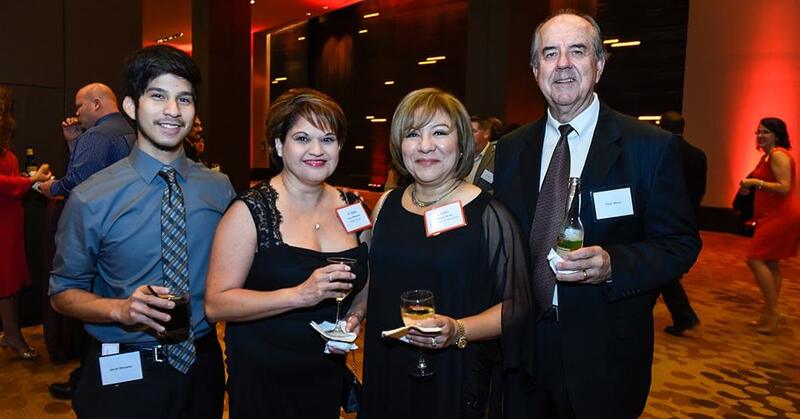 Children’s Medical Center Foundation also raises money with the help of many other partners. 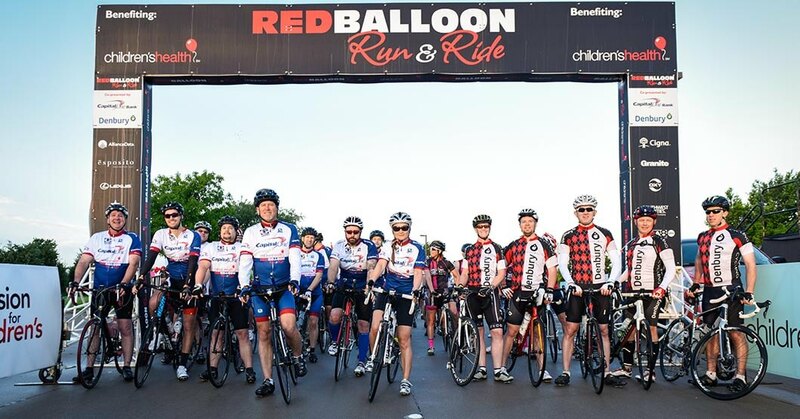 The Red Balloon Run & Ride, produced by Passion for Children’s, brought in $566,897 in 2015 and attracted more than 13,000 participants to the Children’s Medical Center Plano campus. 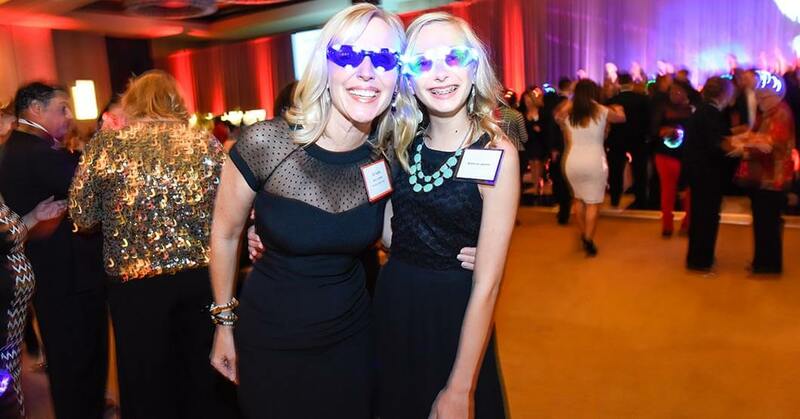 The Children’s Helping Children Junior Singles Tennis Tournament has raised more than $3 million for pediatric cancer since its inception a quarter century ago. 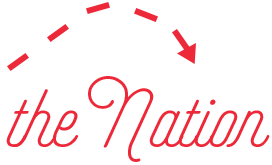 The 2015 Radiothon, produced in partnership with Children’s Miracle Network Hospitals and CBS Radio DFW, brought in a record $1,003,236. 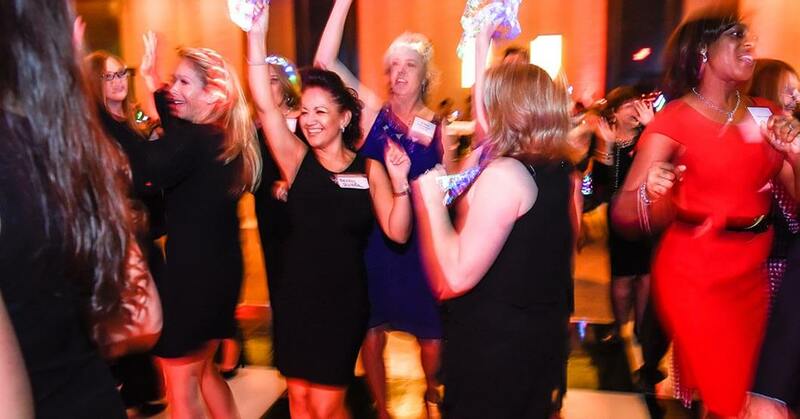 The Dallas and Legacy chapters of the Women’s Auxiliary to Children’s Medical Center raised a total of $787,322 through signature events such as Family Night at Six Flags and the Legacy of Love Benefit & Fashion Show. 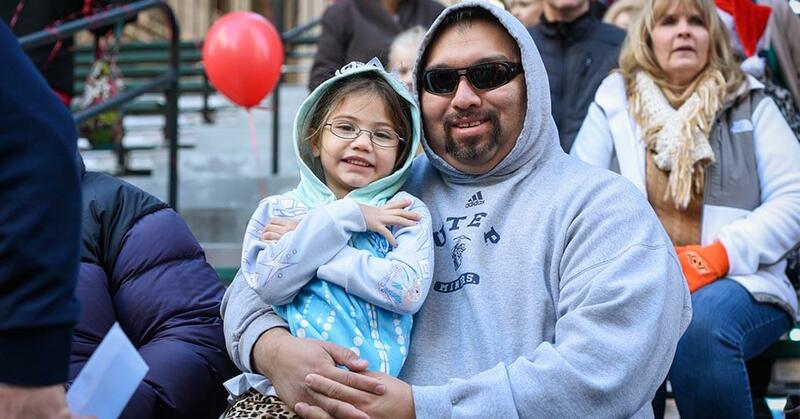 The contributions of the Foundation extend beyond simply fundraising. 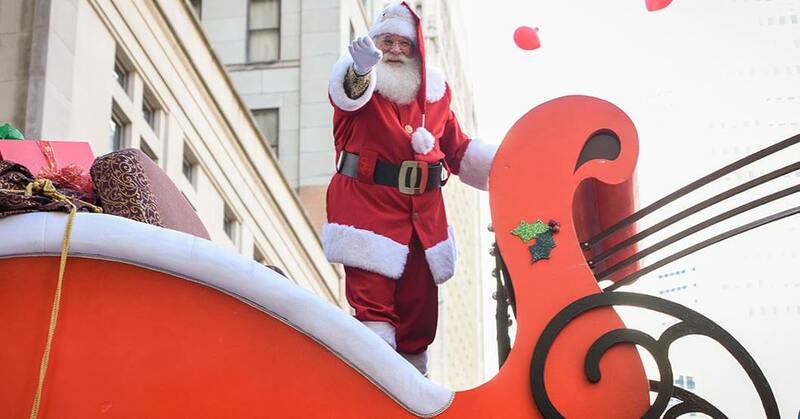 There are numerous Friends groups for all ages, as well as countless volunteers who give of their time – whether to twirl a cotton candy stick, answer the phone for a pledge, or decorate a child's room for the holidays – all of which add up to the connections of caring that make life better for children. 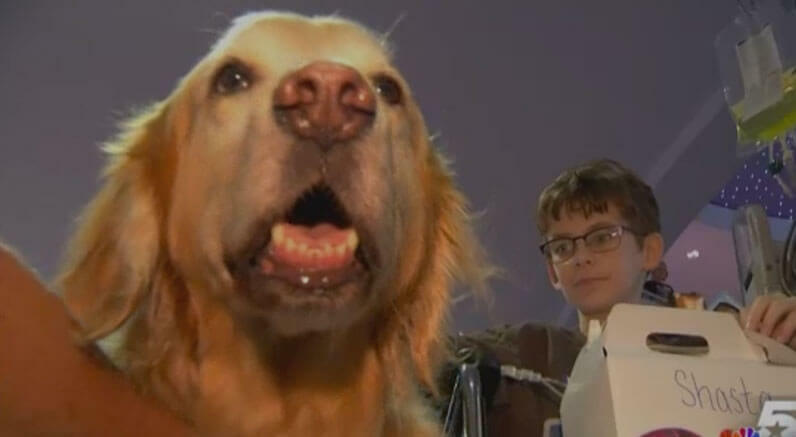 Hospitals across the country are using dogs to help bring smiles to kids fighting debilitating diseases. 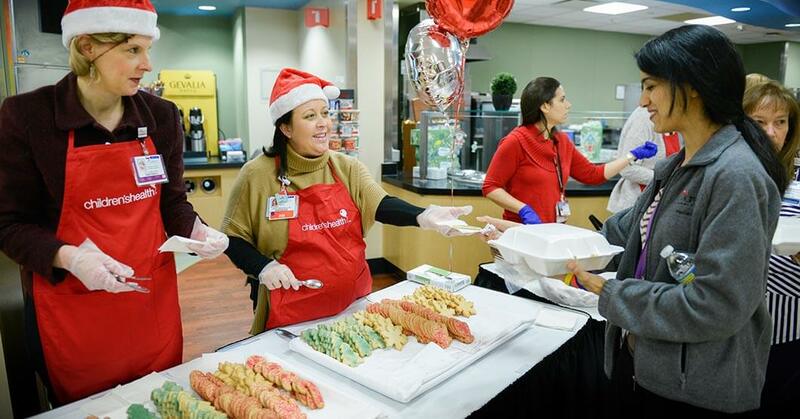 Volunteers with the pet therapy program at Children's Health in Dallas are seeing the rewards first hand. 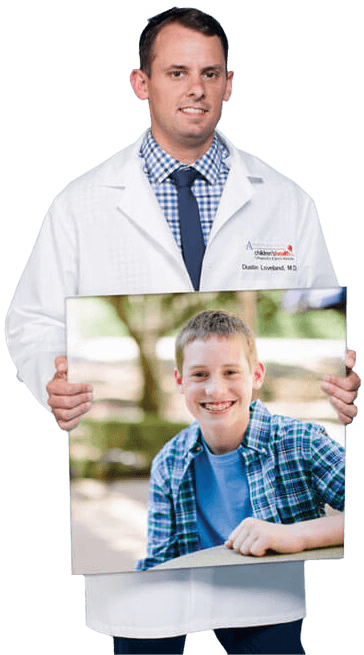 Children’s Health is one of the leading pediatric health care systems in the country, offering more than 50 pediatric specialty and subspecialty programs at 40 locations throughout North Texas. 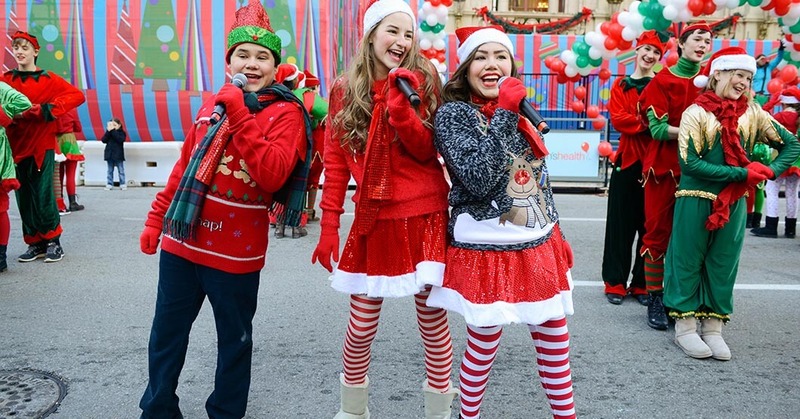 And once again, in 2015, U.S. News & World Report named Children’s Medical Center Dallas, the flagship hospital of Children's Health, a top pediatric hospital in the nation. But numbers don’t tell the whole story. At Children’s Health, we’re about building caring connections with those who come through our doors and making each one of them feel like they’re number one. And in the end, that’s the only number that matters. © 2016 Children’s Health. All rights reserved.